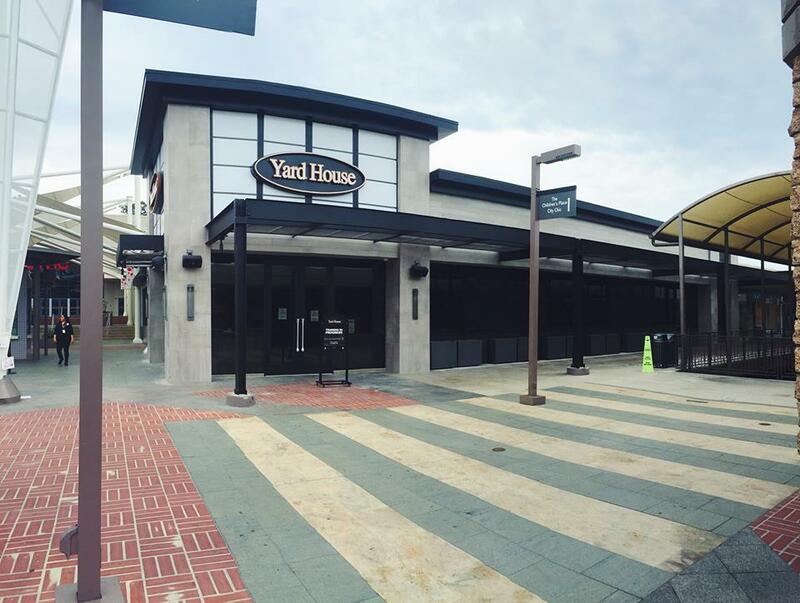 Yard House at Westfield Mission Valley will welcome its first guests starting Saturday, September 19, at 11am. Yard House, which helped revolutionize the craft beer movement when the first restaurant opened in 1996 along the Long Beach waterfront, will feature 130 tap handles with nearly one-third dedicated to regional craft offerings from 20 local brewers in and around the Greater San Diego area. In addition, five handles will be reserved for the restaurant’s Chalkboard Series, a selection of small, limited releases from mostly craft brewers that rotate monthly keeping the selection both innovative and fresh. These featured beers are listed on a digital chalkboard prominently displayed above the island bar. Among the local brewers are AleSmith, Alpine, Ballast Point, Belching Beaver, Coronado, Green Flash, Groundswell, Hess, Iron Fist, Ironfire, Karl Strauss, Left Coast, Lost Abbey, Mission, Modern Times, Mother Earth, Pizza Port, Port Brewing, Refuge and Stone. In addition, Yard House Mission Valley will boast 16 draft offerings that have never been offered at any Yard House location with 14 hailing from San Diego. The glass-enclosed keg room, one of Yard House’s signature architectural features, contains some 4,000 gallons of beer and is kept at a consistent temperature that ranges from 34 to 36 degrees Fahrenheit. It’s now stacked with kegs that have been tagged, dated, assigned a tap handle, and placed on the beer head awaiting the doors to open when five miles of individual beer lines encased in stainless steel will carry the golden liquid to the signature island bar. The new Yard House Mission Valley is located at Westfield Mission Valley off Interstate 8 at the Mission Center Road off ramp. For more information, visit yardhouse.com.